Nowadays, CV is a necessary document while you are applying for a new job. You need it because it includes information about your experiences, your academic background, personal, etc. But there is an important point here: Do you know to prepare a well CV? How should you prepare it? Curriculum Vitae (CV) is a document which includes information about life, capacity, skill, working force and experiences of a person. In the other words, it is a summary of a person’s life. If you want to prepare a well CV, you can use this format while you are preparing yours. EMPLOYMENT HISTORY: In this section, you should write your experiences, sectors, companies’ names, your working duration, your position, etc. EDUCATION: In this section, you have to write your high school, university, post graduate school’ names. You have to describe your school life with department names. PROFESSIONAL QUALIFICATION: In this section, you should write your skills like computer skills, foreign language skills, etc. HONORS AND AWARDS: If you have any honor document or an award, you can add this part of your CV. PROFESSIONAL MEMBERSHIPS: If you are a member of any association, you can write it here. And you should be sure that it can affect the authority. INTERESTS: If you like reading book, swimming, watching match, etc., you can write them to this part. You can mention about your hobbies. Chronological Curriculum Vitae (CV): This type is mostly used by lots of people. 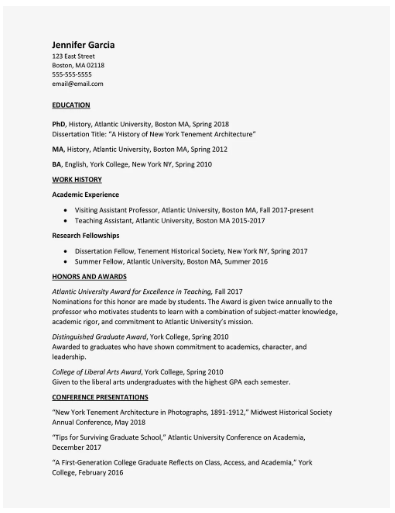 In this CV type, you give your academical background, experiences by starting from today to past in a chronological order. Functional Curriculum Vitae (CV): This type includes the person’s work life experiences. The person expresses his or her qualifications by mentioning about his or her ideas. What Should You Do Before Writing? Evaluate Yourself: You should specify your characteristics related to that job which you apply for. Sit and think. Which characteristics do you have? What are your expectations and needs about job? Whom do you work with? Which skill do you have? How much salary will you demand? Which well characteristics do you have as a person? If you reply all these questions, not only you specify your CV, but also you will specify what expectations you want from business life. Generally, necessary features are specified in a job application. If you don’t have some features about the job you applied, you have to look for ways to have them. Otherwise, you can not decide whether you are suitable for that job or not. Design Your Format: You have to design your format in your mind. You have to know what you will write and with how order. To specify your CV format, you can make a research on web or you can use our format above. Make your advertisement. Bring your skills and capacity related to that job into the forefront. Use active verbs, not passive. They are always effective and explanatory. Choose a format. It should be same in the first paragraph of CV and also last paragraph of it. Be careful! You shouldn’t have any mistakes about grammatical, spelling and punctuation marks. Your sentence structure should be well. Not too long: It is not necessary to be too long CV. You should give just necessary information. You don’t need to give unnecessary information. Don’t forget to add your contact information: You shouldn’t forget writing your contact information. It is important because if the authority decides to invite you a job interview, he or she can call you or send an e-mail to you. Prepare your CV before graduation: You should prepare your CV before you graduate from university. You should apply for job applications but you shouldn’t forget to add your graduation date.